The teacher that I work with asked me to make a pink necklace for her. 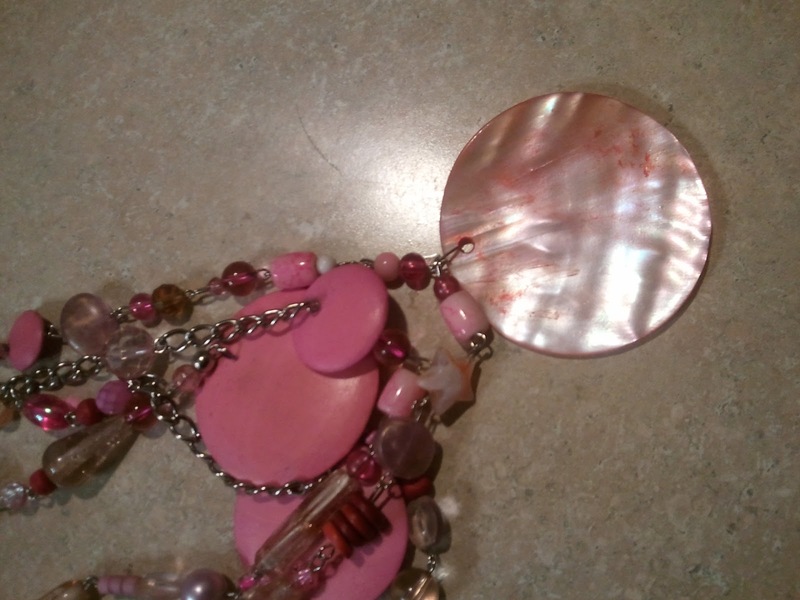 I told her that I could have the necklace ready by that Friday. 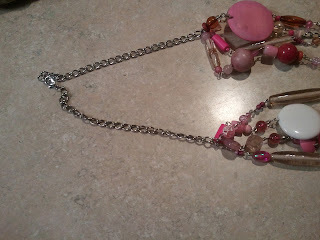 She informed that she needed the necklace for that Thursday. This was a Tuesday. I said no problem. 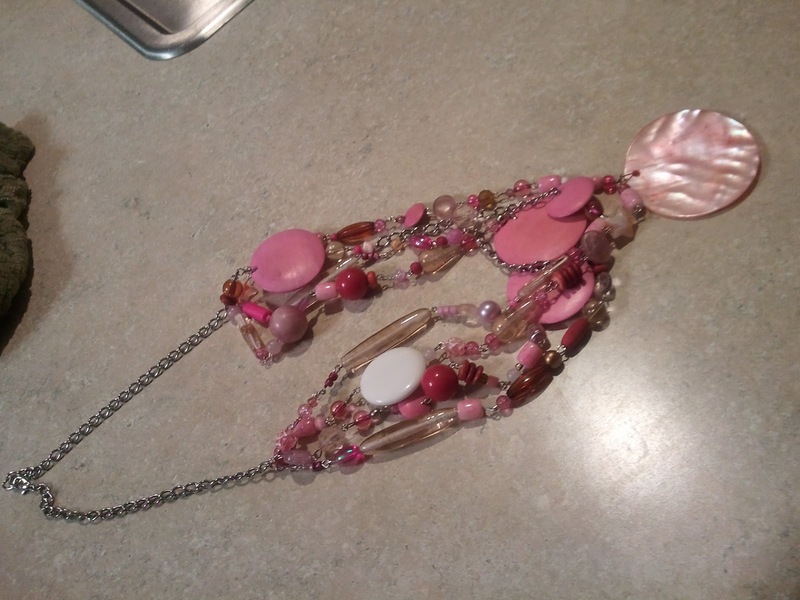 I knew I had some pink beads and asked her if she wanted one continuous necklace that she could wrap around to her desired length. No problem. One more thing. The necklace had to have different shades of pink. No problem. My only problem was I was in a time crunch. I had several projects to get out and needed to finish by Friday. What is a super woman to do? Make the necklace for a good teacher and friend. I got started as soon as I finished dinner. Picking all the shades of pink I could find in my stash box. Problem number 2. 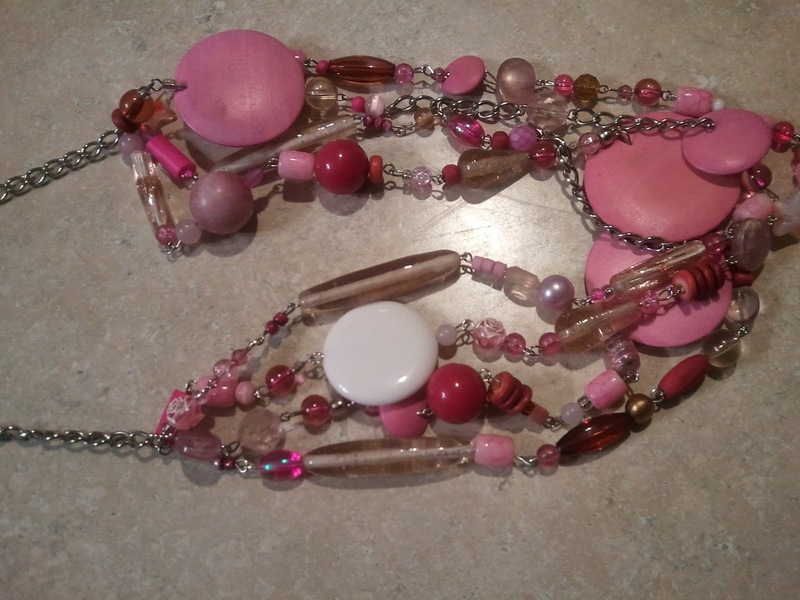 Not enough pink beads to make the necklace the desired length. 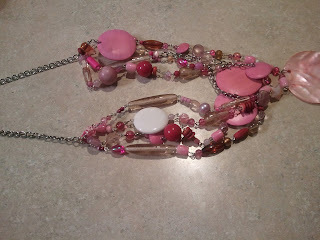 On to plan B. I cut up one of my old necklaces (I made the necklace, but never wore it). Problem 3. Still not enough beads. Sometimes the beads will tell you the way to go. 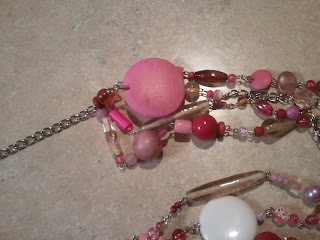 I started rearranging, cutting, moving, and pin beads together. By the time I finished, it was 1 hour and 1/2 later. But I think it turned out pretty nice. Ms. Burke liked the results and she got some compliments. You be the judge.